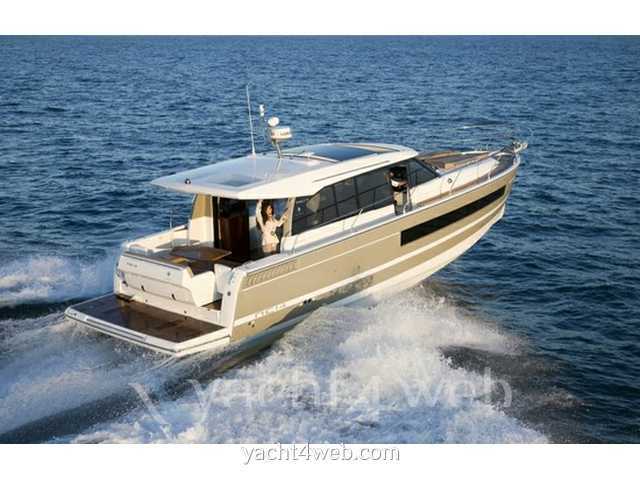 The success of the new NC range widely imposed in the Jeanneau universe. enthusiasm around these 'new' boats. Building on this success, Jeanneau declines this time its concept on the new NC 14 aboard which elegance, luxury and comfort rhyme with innovation. Remarkably drawn by Camillo and Vittorio Garroni, NC 14 requires the purity of its lines and the sobriety of its volumes in a contemporary style. distinguished by its high class and promotes a friendly atmosphere. ideal for rest and tranquility. to achieve excellence in terms of weight/power ratio. luxury and comfort at a level never reached.